low-back pain. A Brand New Functional Exercise model for Jersey. 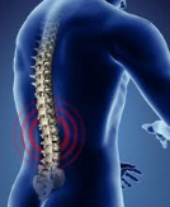 There is much concern over low back pain (LBP), especially with patients developing chronic conditions. We are aware of the dramatic effect this has on individuals, knowing it disrupts and changes their lives. A major concern is that whilst acute episodes of LBP will settle, the chance of recurrence within a year is extremely high. BOUNCEback is a graded active rehabilitation exercise system, delivered in a consistent and repeatable way by qualified healthcare professionals – now available exclusively at Lido Spinal Clinic. It draws on over 300 exercises specifically designed to optimize the function of spinal stabilizing muscles. The BOUNCEback exercise program is delivered in a standardised and graded one-to-one format. There are 8 sessions, each containing 8 exercises. The patient must be able to perform an exercise before progressing to the next one.The exercise levels cover upper and lower body from early beginners, through intermediate and advanced streams. Session 1: Involves collecting patient assessment data including BPI’s and RMDQA. All patients receive the same program which has been developed from the database of 300 exercises in order to filter the ones that have been shown to be most effective in retraining correct control and movement in a systematic way. Session 8: We re-measure and collect the data to check the outcomes and explore the progress report with the patient.This data is pooled and compared to other clinics worldwide to evaluate and improve the effectiveness of the BOUNCEback system. At Lido Spinal Clinic we also focus on the ‘virtual body’ and removing the fear of movement. BOUNCEback is the only complete exercise rehabilitation program to encompass all the elements of physiotherapy training and structured exercise programming with focused progression and a standardised review and update procedure. The classes are not only restricted to those with chronic injuries, many sports people and athletes have benefited from the BOUNCEback program by improving control of stabilising muscles to optimise their performance. 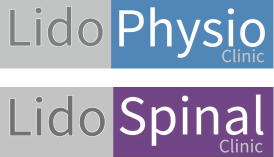 Real time Ultrasound, MRI and EMG studies demonstrate that even a single episode of LBP produces dramatic weakness and incorrect firing patterns in key spinal muscles including the core muscles and multifidus. (Hides 1996, MacDonald 2012, Jull 2004) These deep stabilising muscles are often inhibited and switch off when pain persists resulting in compensatory patterns where larger superficial muscles take over. This will create longer term degenerative changes and recurrent LBP episodes. Click below to download our BOUNCEback Newsletter and Protocol for GPs. The BOUNCEback program is a standardised alternative to traditional gym environments or Pilates Classes, delivered in a consistent and repeatable way by specially trained and tertiary qualified healthcare professionals. Unlike other ball-based exercises, BOUNCEback has been proven for effectiveness through an extensive research program. The BOUNCEback program is outcome based with the objective being to retrain the brain and body using a systematic series of exercise classes which minimise the risk of re-injury and further pain. This approach promotes confident client progression and physical control. Patients experience significant lifestyle improvement, and usually are able to return to normal activities such as work and sport, those things that many of us take for granted. Hides, J; Jull, G; Richardson, C. Long Term Effects of Specific Stabilising Exercises for First Episode Low Back Pain, Spine, June 2001, Vol 26, Issue 11, pp e 243 – e 248. Hides, J; Richardson, C; Jull, G. Multifidus muscle recovery is not automatic after resolution of acute, first episode Low Back Pain, Spine, Dec 1996, Vol 21 (23), pp2763 – 2769. Jull, G; Kristjansson, E; Dall’ Alba, P. Impairment in the cervical flexors: A comparison of whiplash and Insidious onset neck pain patients, manual therapy, May 2004, Vol 9 Issue 2, pp89-94. MacDonald, D; Moseley, G; Hodges, P. People with recurrent low back pain respond differently to truck loading despite remission from symptoms, Spine, Apr 2010, Vol 35 Issue 7, pp818-824.